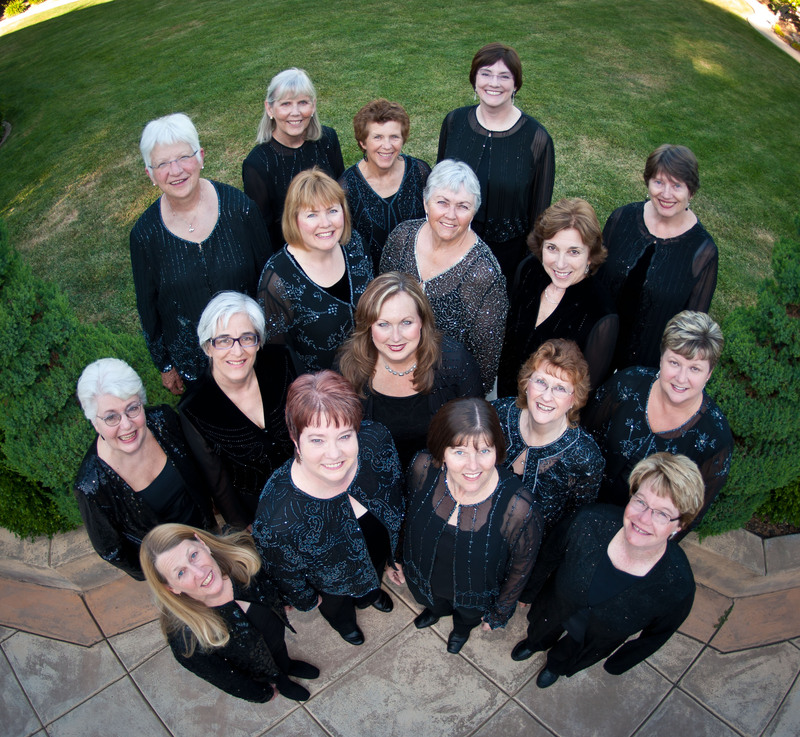 For over twenty years, the ladies of Chanteuses have been entertaining Sacramento with their distinct sound and superb blend of wonderful vocal harmonies. A broad range of repertoire and a long history of music‐making excellence continue to make the region’s premiere female a cappella ensemble a favorite with audiences. One of the group’s trademarks is exploring a surprisingly diverse collection of choral literature for treble voices, including a wide variety of both sacred and secular music of all kinds. The ensemble was formed by founding conductor Jack Miller in the fall of 1996 with a premiere performance at the Pioneer Congregational Church. Since then, the group has maintained a strong tradition of performing in area churches, but the ensemble can also be found working with outstanding regional arts organizations including Folsom Lake College’s Three Stages, the Bear Valley Music Festival, the Camellia Symphony, and the Deane‐Crockett Dance Studio. 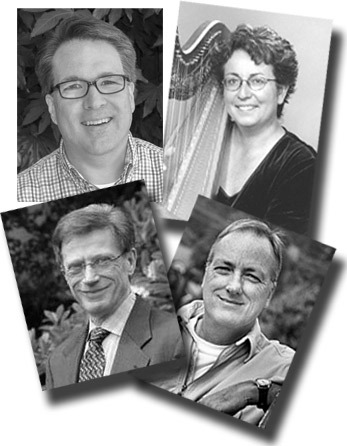 The group has been led by five conductors since its founding (photos, right): Jack Miller (lower left), Mike Reynolds (lower right), Beverly Wesner-Hoehn (top right), Chris Alford (top left), and current music director and conductor, Judy Britts. In 2005, Chanteuses participated in the International Church Music Festival in Bern, Switzerland, while on a musical tour of both Switzerland and France. Chanteuses is proud to have produced its first-ever fully professional CD recording and is always preparing outstanding concerts of wonderful choral music. Take time to peruse the Upcoming Concerts page for additional information.